Alexander Rose Monte Carlo Corner Modular Sofa: The Monte Carlo Corner Piece Sofa by Alexander Rose is a high quality and comfortable chair that can be used on its own or combined with other items from the Monte Carlo range to create a large sofa set. The Alexander Rose Corner Modular Sofa has a beautiful basket weave pattern using round 3mm synthetic rattan fibre with a natural feel and woven on a powder coated aluminium frame for a sturdy and maintenance free design. 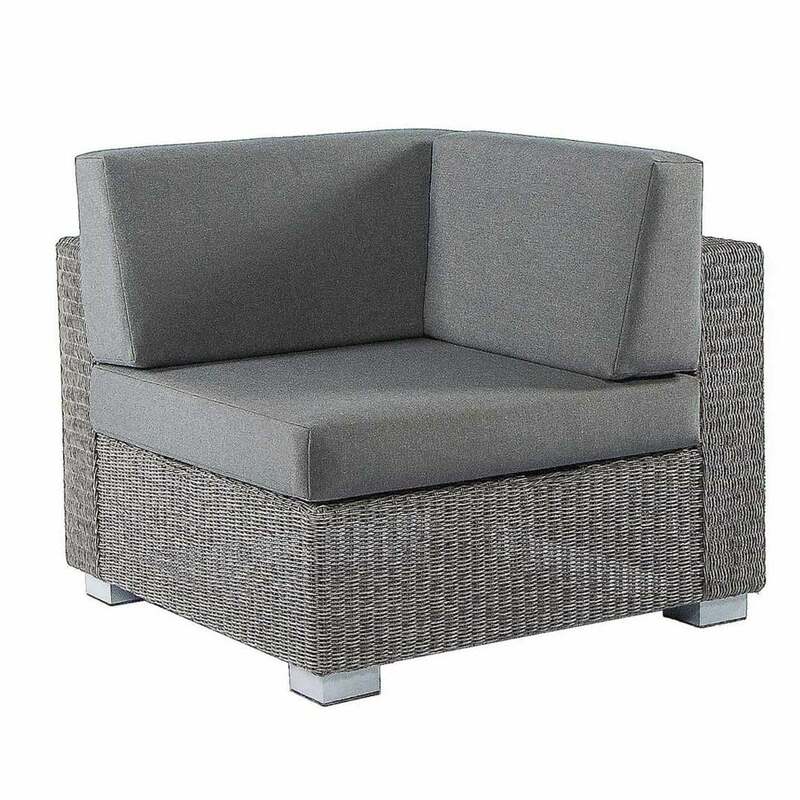 The Monte Carlo Corner Sofa also includes upholstered olefin seat and back cushions in a complementary dark grey colour to provide a comfortable and supportive place to rest.